This Sunday, June 26, beginning at 8PM / 7PM central on BET, during the BET Awards (check local listings), movie fans watching the show will have the chance to become Ghostbusters themselves. 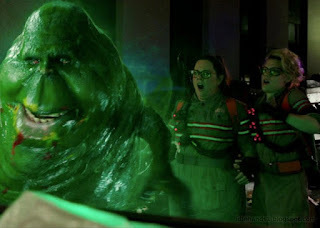 When the specially tagged Ghostbusters TV spot airs during the broadcast, anyone watching the show can Shazam the spot using their Shazam app and bust Slimer, as the famous ghost is captured from the TV onto users' smart phones. After busting Slimer, audiences can learn more about Slimer and the upcoming Ghostbusters movie, in theaters July 15. They can also enter a sweepstakes, with a chance to win four custom-made Ghostbusters suits. 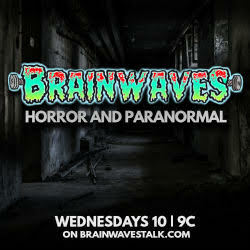 This Sunday, tune in to the BET Awards, Shazam the Ghostbusters spot, and become a Ghostbuster! Ghostbusters makes its long-awaited return, rebooted with a cast of hilarious new characters. Thirty years after the beloved original franchise took the world by storm, director Paul Feig brings his fresh take to the supernatural comedy, joined by some of the funniest actors working today - Melissa McCarthy, Kristen Wiig, Kate McKinnon, Leslie Jones, and Chris Hemsworth. This summer, they're here to save the world! The film is produced by Ivan Reitman and Amy Pascal, and written by Katie Dippold & Paul Feig, based on the 1984 film "Ghostbusters," an Ivan Reitman film, written by Dan Aykroyd and Harold Ramis.